Magic Browser Recovery will help you to restore browsing history and analyze a user's online activity. It does not matter if you cleaned the browsing history, deleted an operating system user or uninstalled the browser and all its files - this utility will restore any data that can be lost. 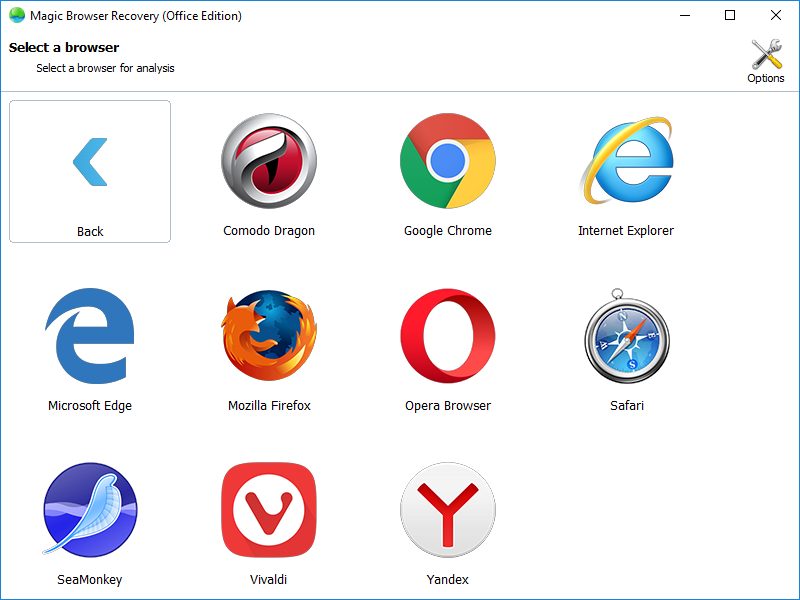 Magic Browser Recovery will analyze your hard disk and find all browsers which are used currently or have ever been used on this computer. It can help you restore not only the browsing history but also all passwords that users entered, any bookmarks that were saved, addresses, phone numbers and all kinds of other important information. However, this program is not only meant to restore lost browser files. It also offers a convenient and powerful tool to analyze online activity of a user. Magic Browser Recovery will show what a user did at a certain time: what websites were visited, how much time was spent, what things were searched, what text and into what languages were translated, what emails were received and so on. With just one click, you can see how often a certain web page was visited, what URL it was redirected from, when it was visited for the first time, and the user returned there again... Analysis of social media will provide any information you might be interested in: names of users and groups whose pages were visited, dates of all visits to a certain account, and a lot of other information. A powerful analysis algorithm will find and display browsing history even after a user tried to clear it or used the incognito mode. A number of convenient filters and sorting methods will help you get access to any information you are interested in quickly and easily.